The retail sector has taken a hammering in recent months with Best Buy opting to close its stores, Kesa selling Comet for £2 and Dixons seeing its losses year-on-year continue to mount. Although Dixons reported a £25.3m loss for the first half of its fiscal year ended 15 October, compared to just a £6.9m loss in the same period last year, this was better than the potential £35m loss that some analysts had been forecasting. Total Group sales only grew by a single percent to £3.29bn but in other areas there were signs that its £60m cost reduction programme was on track and it was gaining market share in the UK. 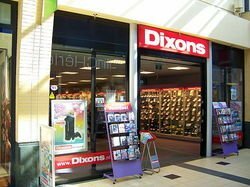 In a statement Dixons chief executive John Browett said that it had good hopes for Christmas but remained realistic about the state of the economy and the trading conditions for retail. 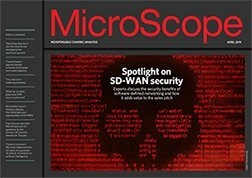 "In what remains a challenging environment, the pace and impact of improvements in our operating model is driving outperformance versus our competitors and market share gains. While we remain cautious about the economic outlook for the second half of the year, we are well positioned and remain focused on delivering world-class Value, Choice and Service for customers," he said. "We are confident that customers will benefit from fantastic festive deals across an exciting range of technologies from our knowledgeable store colleagues this Christmas," he added. In terms of the specific UK performance, total sales were down by 9% in Q1 and 2% in the second quarter but the Nordics delivered double digit growth. The other area struggling was the e-commerce side of operations which also saw sales drop by 11% in Q1 and 14% in Q2.